According to a ruling from the State of Washington this week “Internet domain name registration services are generally subject to retail sales or use tax. This article only addresses the initial sale of a domain name by a registrar. The Domain Name System helps users find their way around the Internet. Every computer on the Internet has a unique address, called an Internet Protocol (IP) address. Website owners then buy an easy-to-remember domain name. For example, instead of typing in an IP address (such as 192.0.34.163), a user would type in a domain name (icann.org) to access a website. Third-party domain name registrars sell domain names. Registrars assign a unique domain name from a domain name registry and ensure they lead to the right IP address (Det. No. 11-0081, 32 WTD 46 (2013)). Under the law, “sale at retail” and “retail sale” include sales of digital automated services to consumers (RCW 82.04.050(8)(a)). “Digital automated services” means any service transferred electronically, such as over the Internet, using one or more software applications (RCW 82.04.192(3)(a), (8)). Rightside for one is headquartered in Washington State ( Kirkland) and owns two domain name registrars Enom.com and Name.com. The state of Washington has a statewide sales tax of 6.5% but allows additional add on’s to the sales tax which can thereby vary by county or city. 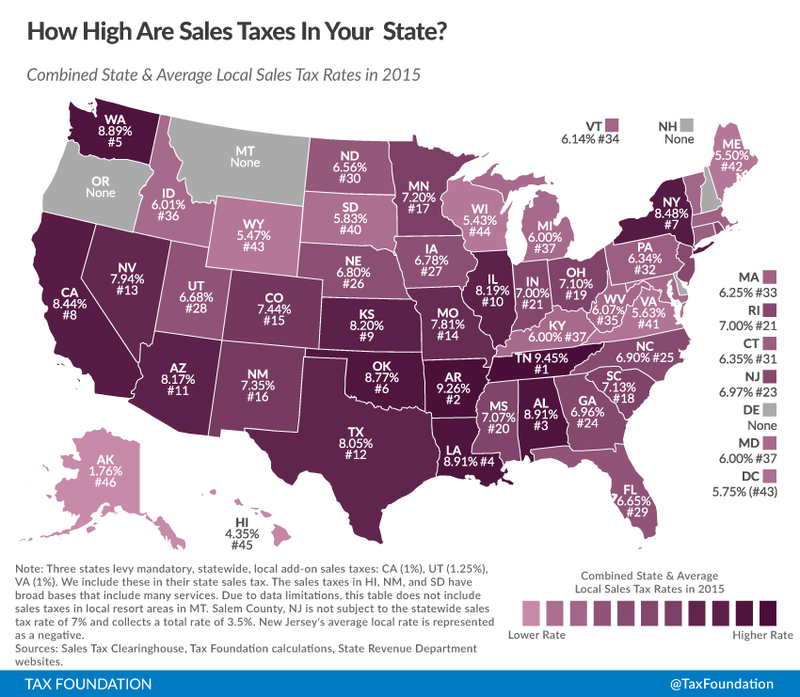 According to the taxfoundation.org, the average total sale tax in the State of Washington is 8.89% the 5th highest in the United States. Of course with new gTLD registrations priced as high as $60,000 per domain, we are now talking about a substantial amount of money. We will reach out to Rightside and see what they have to say about this ruling. Are in State of Washington intellectual properties subject to sales tax as well? That is NOT true. I can have many computers (and devices) behind modem/router that shares one single IP address. But then each of your computer’s on your lan still have an IP address. So it is more true than you think. Interesting timing relative to the Marchex/Godaddy deal. I guess the “domain names are property” folks are popping open the champagne. Congrats, you won. Does this mean only those enom/righside customers INSIDE WA will have to pay sales tax? Or do enom/rightside customers in all 50 states have to pay sales tax? John, are you saying a property tax is coming? What he is simply pointing out is how this and things like it are one of the numerous possible unpleasant ramifications and consequences for those who support the “domain names are property” position, something he has addressed before. He is not suggesting property tax is coming. While he would not completely rule that possibility out strictly as a matter of logic and epistemology, he would doubt that particular phenomenon would come about, but all the other possible ramifications he would consider more possible and more likely could be unpleasant and undesirable enough. Here comes the BOOM! – The boom of a reality check as more states start to enforce sales tax on domain investments and the eye opening that will follow as the masses that thought they found the perfect under the table tax free revenue stream. What are you talking about ? Tax free revenue stream ? This is sales tax on a $10 reg. domain sales were never tax free. We’ve paid sales tax on domain registrations within our province in Canada since day one. Selling the domain itself after is either a business income, if you do that for a biz, or a capital gain if it represents a windfall. The registration taxes are paid to registrars within BC (province of Canada) and the business income taxes and or capital gains are paid to Canadian Income tax (Canada). I’m not quite sure why the states haven’t been taking sales tax on yours? If you do not live or have business in the state of Washington you not have to pay taxes. If name and enom applies the tax on my purchases, I will close my account with them. There are currently many companies with great service to do business. I agree if a registrar is in Alberta and I’m in BC then provincial sales taxes don’t apply only federal ones. I would assume the states is the same but if a company in washington tries to levy state taxes I’ll do biz elsewhere. Forget Enom and Name – GODADDY opened an office in Seattle a year ago and Godaddy has been charging me 9% – 10% sales tax on renewals and new sales since then. (I live in Washington State.) That little office (it’s there to steal Microsoft talent) has cost me a lot of money. At least now in WA, any company that has a presence in the state incurs sales tax on all sales within the state, even though there are no customer-facing operations in the state. I would guess this is a real can of worms. Sales and use taxes generally apply to goods brought into a state or services performed in a state. If my domain is registered in Arizona, my web hosting farm is in Texas, my email is in another state and my residence is in Washington, do I have to pay sales tax to Washington state? If I am a Washington resident and I buy something outside of Washington and use it outside of Washington, even in a business context, I do not pay sales tax to Washington. Where does my domain name reside anyway? Where is it used if I just connect to a service in another state to control it? If I telephone my store in Maine, even if I direct it to buy something in Maine, I don;t have to pay Washington sales tax on what I bought. Residence is irrelevant to dales tax. If I go to New York and buy something they charge me New York sales tax even if I don;t ;live in New York. Pretty sure I’ve been paying sales tax on domains from the beginning, since I’m a Washington citizen.